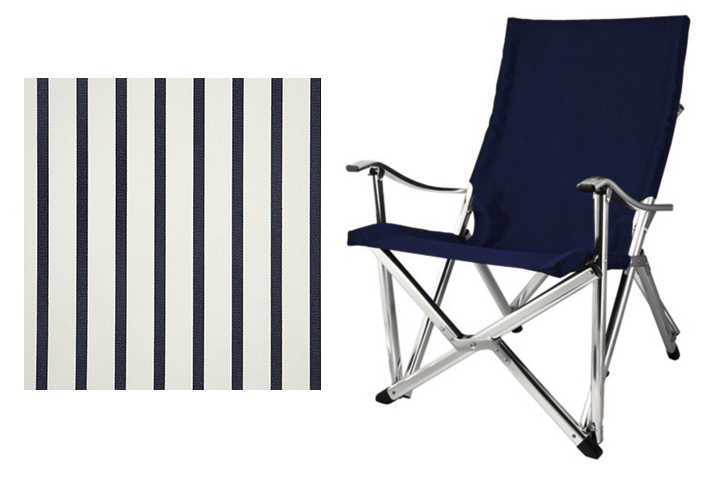 We finally decided on some new chairs for the boat: the Wineglass Bay Chair from Seattle Boat Chair Company, in navy. We had a short list of requirements that included: easy to store, comfortable, marine environment-friendly, and nice-looking. The "easy to store" requirement turned out to the trickiest part. The only place that makes sense to store chairs on the boat is in the cockpit lazarette (the floor hatch/storage area at the back of the boat). The chairs that came with the boat fold flat, but they are a little worn, and it's a bit of a pain to wrangle them in and out through the "slightly narrower than the chairs" lazarette hatch door. It becomes a little puzzle each time you put them away: "Okay, legs in first, move chair toward the stern, then turn chair 90 degrees and move off to the side, secure nicely so chair doesn't slide and catch on anything important (like the rudder stops). 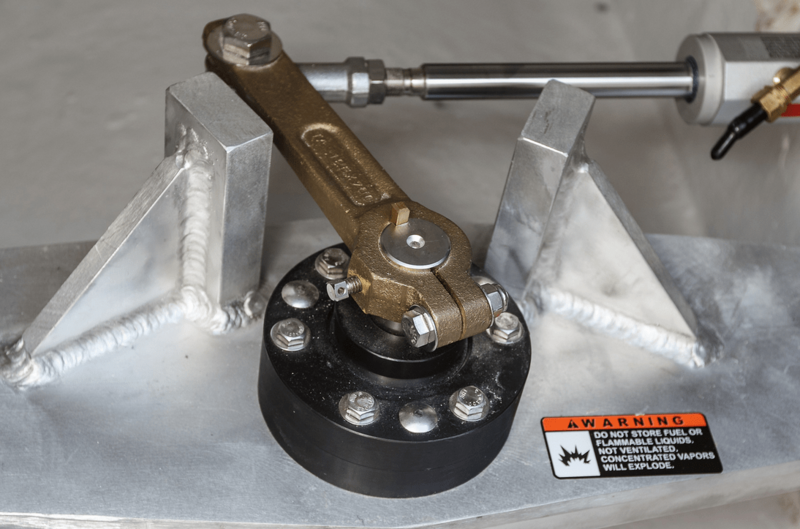 In the (unlikely) event of a hydraulic steering failure, those two stops on either side of the steering arm prevent the rudder from swinging around and slamming into the propeller…so you don't want the chairs sitting on top of that, which is right in the middle of the storage area. Plus as you're doing all this chair wrangling, you're kneeling and holding yourself by your abdominal muscles, bent at the waist over a big hole…so, you know…pretty easy to start with. We thought about strapping flat-folding chairs to the rails on the upper deck, but that's clunky and messy, and would leave the chairs out in the salt spray and sun, aging them much faster than if they get stowed away. Ideally, we wanted chairs that would fold up vertically and go into a bag, kinda of like the old $6 dollar chairs we had with our first Airstream (like these, only…six bucks). However, those $6 chairs would likely last about 5 minutes in a marine environment. Plus, they weren't all that comfortable. We thought about the Zip Dees for a little while. They fold up really flat and probably would go in and out of the lazarette without much trouble, but they aren't really "marine environment" chairs, and for lounging around they are a little…upright. Also, they don't have those nice big bumper-like things on the chair legs to keep you from sliding around on the boat deck (like most of the specialty boat chairs do). 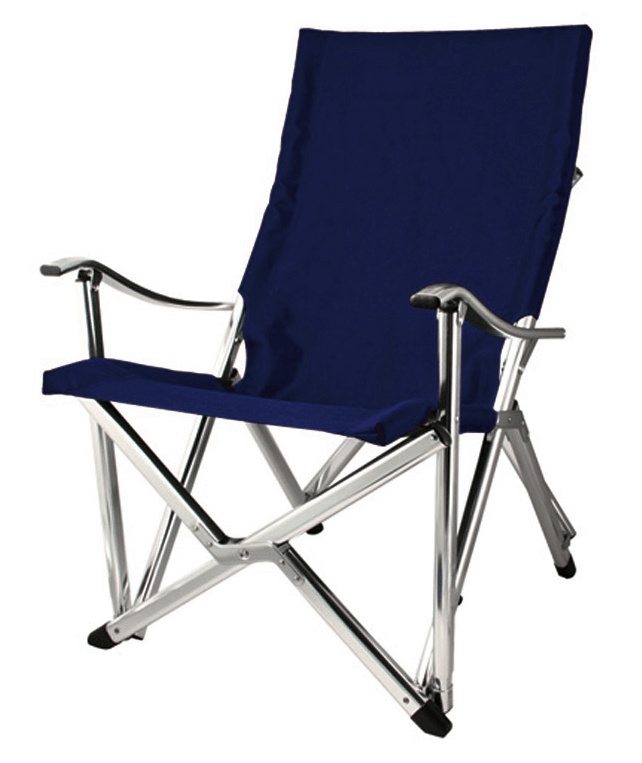 The Wineglass Bay chairs are really comfortable, and they are guaranteed for life against structural failure. Reviews were good so we ordered two of them (and we may get two more, for guests). 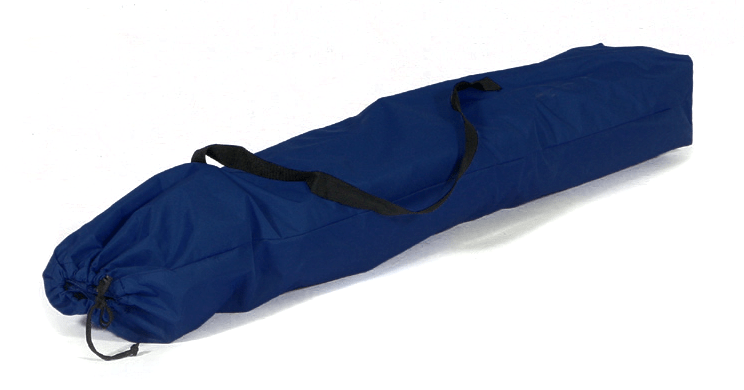 They come in white, black, red, royal blue, navy blue, and beige, and come with a matching bag and optional matching arm covers. They might be great for deck top loungers, don't you think? 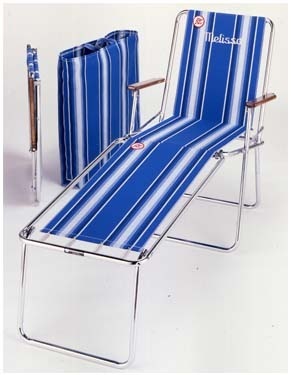 What if we had two Zip Dee loungers and the two Seattle Boat Chair Co. chairs? Then we'd be set for just the two of us (sitting OR lounging), and a couple of guests. Plus, the Zip Dee without the lounger would make a fine extra chair at the dinette inside if we had more than three people for dinner, whereas the Seattle Boat Chair chair is a little too "reclined" to be a good dinner table chair. Perhaps we'll consider a "two of these/two of those" configuration.